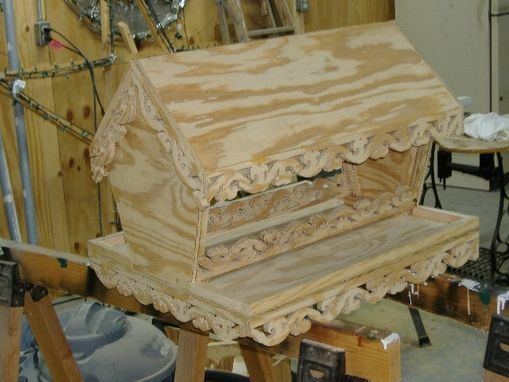 Gravity bird feeder in a Victorian trim. Holds 40 pound bag of seed easily. Bottom tray was 18"x24"